Images like these are pumped into our consciousness via a targeted smear campaign to disenfranchise our collective awareness of its Truth, and fool us into accepting the edicts of transhumanism like verses of the a holy book. The question is – who will determine which genes are to be kept, and which genes are to be erased? The fact remains that there are many ‘mutant’ strains of DNA found in the human genome which have a higher purpose that science does not readily acknowledge. There are also serious implications for those who might have children who have qualities that the scientific body determines are undesirable, when in fact, they are key to our future spiritual evolution as a whole. Transhumanists assume that our very sentience is an impediment. Death is not a natural process that happens in all of nature, through seasons, growth and rebirth, the cycles of time, etc., and augmentation of the human form with vaccines, elaborate surgeries, or even nanobots and added robotic parts would be beneficial. The ultimate goal to this group of intellectual ‘elite’ is for ‘man’ to overcome ‘nature.’ It is the classic egoic stance of man against God, instead of realizing that we are one and the same. You can also observe the trend to minimize humanity as a whole, and the assumption that we need to be treated as parts of a machine, owned by some ‘larger’ entity, namely an ego with corporate tentacles as long as the Bering Sea. We are cogs in a wheel, not sentient creatures with a destiny outside of a mechanistic, deterministic view of the world. You can see this with forced vaccines in the recent SB277 fiasco in California, in the attempt of biotech companies to patent human genes so that they can then offer ‘cures’ for diseases those genes present, and the general attitude of politicians who try to remove the rights of human beings as if we were a class of robotic automatons and someone (with great access to wealth and power) holds the remote to control our every movement. You can observe this trend with new technological ‘advances’ which are presented as though they were beneficial to society, when in fact, they strip away another level of our humanness as we accept them more blindly, and less belligerently with every medical or scientific development. Genetic engineering and ‘artificial’ intelligence has already changed humankind drastically. Though we might live longer with these numerous advances, we will serve the ideals of the class which supports transhumanism, not simply humanism – not love, beauty, honor, etc. Our innate wisdom would be replaced with acceptance of new cultural norms which uphold the tenets of greed and power for a few, not harmonious living tinged with freedom for the masses. The fact is, there are ongoing mutations in the human gene pool. Most random genetic changes are neutral, and some are harmful, but quite a few turn out to be positive improvements. Others, scientists don’t even really understand. They’ve only just realized that the human genome actually contains two languages, one on top of the other, hidden in plain view for decades of genetic experimentation and scholarly study. All humans have a gene for a protein called Apolipoprotein AI. This protein is part of the system that transports cholesterol through the cardiovascular system. Apo-AI is one of the HDLs, already known to be beneficial because they remove cholesterol from artery walls. But a small community in Italy is known to have a mutant version of this protein, named Apolipoprotein AI-Milano, or Apo-AIM for short. Apo-AIM is even more effective than Apo-AI at removing cholesterol from cells and dissolving arterial plaques, and additionally functions as an antioxidant, preventing some of the damage from inflammation that normally occurs in arteriosclerosis. A young person from the Midwest was found to have a ‘mutation’ which gave them bones that were stronger and denser than average folks – which was only found when they survived a car wreck without suffering from a single broken bone. Another ‘mutation’ allows human beings to have a natural resistance to malaria without taking pharmaceutical drugs. Another rogue oddity in our gene code allows certain people to see colors and shades the rest of us are blind to. Like birds and turtles, a natural “tetrachromat”, is theoretically capable of discriminating hues of the rainbow most of us can only dream of. There are even those who suspect there are other strands of DNA in certain human beings born of late, that allow them skills we lost ages ago. Alfie Clamp, a young boy considered mentally challenged, was born with an extra strand of DNA, but we don’t know where mother nature might be taking this ‘mutation’ in time if we are constantly meddling with the human genetic code. It is thought original human beings had 12 strands of ‘energetic’ DNA which scientists today call ‘junk’ DNA. You can imagine what information and instructions might be programmed within these additional strands when scientists only recently learned to decipher another language on an existing, and scientifically acknowledged strand of genetic code. If epigenetics is proving that we can alter our own DNA with thought, and there is an energetic set of coding instructions that allows us to become ‘super’ natural, instead of transhuman, why do we allow those with no soul to tinker with our flowering spiritual evolution? We are not merely biological machines. We are spiritual creatures budding with every breath. Transhumanism would subsume this process, but our conscious resistance means that we will break free from its shackles. Consider the minds that would make machines of men. 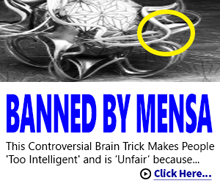 This article (The Transhumanism Fantasy is a Failure for Humanity) was originally created and published by Waking Times and is published here under a Creative Commons license with attribution to Christina Sarich and WakingTimes.com. It may be re-posted freely with proper attribution, author bio, and this copyright statement.